It’s scholarship application time again! 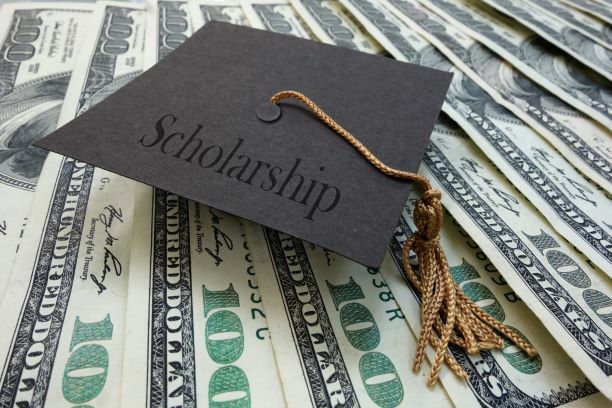 Don’t miss out on Summer 2019 scholarships brought to you by the DCCCD Foundation! Did you know that the Foundation offers over 300 scholarships yearly? That’s a lot of money up for grabs! Scholarship applications may sound a bit overwhelming but thankfully, myScholarships is here to help ease you through the process. The application period for Summer 2019 scholarships is Jan. 1- April 1, 2019. How Do I Fill Out Scholarship Applications Online? Don’t spend your valuable time filling out paper form after paper form — instead fill out one secure online scholarship form. This will save you time because you won’t be juggling multiple paper applications, and we’ll help speed the process along on our end by matching you up with as many scholarship opportunities as possible. To get started, visit myScholarships on the Foundation website and fill out the online scholarship application. Once you’ve finished the application, you’ll be automatically matched to opportunities for which you’re eligible based on the criteria you meet. This might include academic excellence, financial need, personal achievement, leadership or other factors. Keep in mind some scholarships may require more information beyond eligibility, such as an essay or answers to supplemental questions. The online scholarship application system will let you know, and you’ll be able to submit that information directly through the online form. Also, a keyword search is available for you to explore all available scholarships. Lastly, you can check on the status of your scholarship application at any time. You can do this by logging into myScholarships and clicking on the “Home” tab in the upper left corner. If you have been offered a scholarship, you will see a status update. You will also receive notification through the email address you use to log in. Helpful tip: Not all scholarships require letters of recommendation, however, if you need one, don’t wait until the last minute. Make sure to give the person recommending you plenty of time to write a letter for you. To get started, sign into myScholarships. Not sure which scholarships you want to apply for? You can view all Summer 2019 scholarship opportunities and requirements. No worries! Once your general application is completed, which usually includes contact information and academic information, it is imported into our system. If you need to make changes or updates, contact the Admissions/Registrar’s Office at the college you plan to attend. Questions about myScholarships? Contact the DCCCD Foundation at 214-378-1531. Go step-by-step through the financial aid process.